We’ve noticed how sites perform better on some hosting platforms and less so on others. Paying for cheap website hosting is never a good idea. When hosting a website, there are a few important factors to consider when trying to achieve the best results. We cover off the pros and cons of website hosting and how you can pick the best package which is right for you. Most people give little to no consideration when hosting their website, most thought goes into the initial design and development and once that is complete, launching a site just becomes the point when people switch off and wait for the expected results. Little consideration is given to where the website is hosted and on what platform, but this surprisingly does have an effect on a websites overall performance. We will discuss in detail some important considerations with website hosting including up-time, speed, location, reputation, disaster Recovery, fail-over, data integrity and the noisy neighbours. By far an important factor. If your website is down it not only becomes unavailable to the users, resulting in lost sales, enquiries and your own reputation, but you can also lose your search engine positioning. How would a Web Crawler be able to access your website if it’s not actually up at the time it tries to crawl the content? It wouldn’t and your current pages which are indexed by the search engines could just disappear as a result of not being available to crawl. Not to mention the unpleasant experience for the users of clicking on links that result in the message “webpage unavailable”. People would soon learn to avoid your site knowing it was frequently unavailable. Slow computers are frustrating enough, but a slow to respond website just causes the users to move on and find a more responsive site to browse. Often, with high contention web servers, websites become slow because the website hosting server is also hosting several thousand other websites all at the same time. If some of those sites are popular, then the server is maxed-out with database queries and content delivery serving those sites and yours just grinds to a halt as a result. Also, the world wide web exists in its entirety on many website hosting servers all connected to the internet, each connection has a bandwidth, and the more content piped though on a single connection causes a slow to respond website. It’s a proven fact that most people will shy away from a slow website in favour of a faster one, which could be one of your competitors. If your business is based in the UK, you ought to be considering hosting your website in the UK. After all, it’s the quickest route from server to browser. If my website is designed to attract potential customers in the county of Leicestershire, which is where I live, why would I want the page requests to go all the way to the United States and back? Surely it makes sense to have a web server hosted in Leicester hosting my website? Staying local not only is better for search engine optimisation (SEO) purposes, but is also the most efficient way of sharing data across the already congested internet, and keeping it local you should notice an improvement in performance. Not often spoken about, but an important factor. If your website is located on the same website hosting server as another site which is blacklisted for one reason or is spamming or as has security holes, then this could adversely affect your own website. The web servers’ IP reputation could be affected and if you share the same hosting platform, your website could be too. It’s worth finding out about the hosting infrastructure and where your website is hosted, how it is hosted and who is sharing your hosting platform before trusting your site with a website hosting provider. If the website hosting company you choose has a problem, how quick can this be resolved? Do they have an affective DR plan in place, do you know what it is? Keep in mind that website hosting servers are often never visited and exist somewhere in the cloud, do you know where your website hosting platform is? It’s worth finding out and knowing what the hosting providers DR plan is. Part of the DR plan should explain how resilient the website hosting companies systems are. 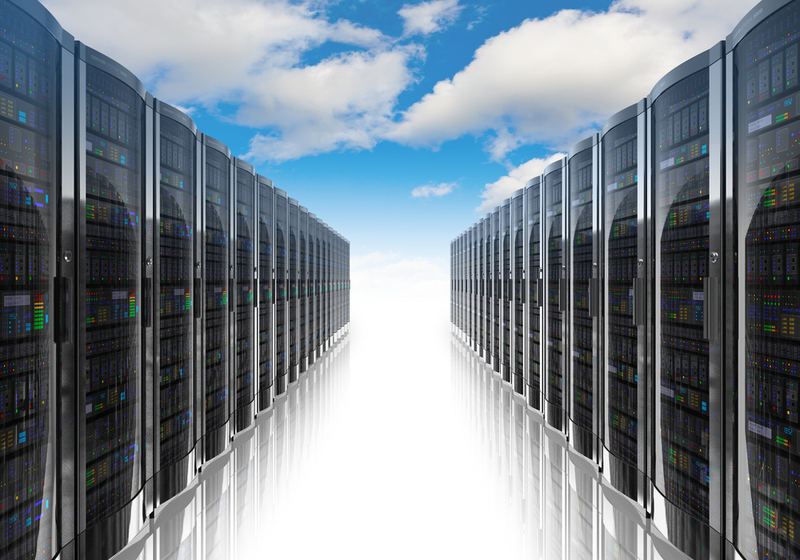 If the server hosting your website fails, does it ‘failover’ to another server? Having failover ensures your website is up to as close to 100% of the time, which as we’ve previously explained has many benefits. Is your data safe? The laws on data protection vary across the world so you need to be compliant in the country where the business is done. If in the case of the UK, Canada and the rest of Europe where we have the world’s most strictest data protection laws, countries like India, China and Brazil are less strict, even the United States isn’t as strict. Your data needs to comply with the UK data protection laws, so consider this when choosing a website hosting platform. We all dislike them. They draw attention to themselves and us. If your website is hosted on the same website hosting server as your own, this can cause problems. High resource usage, malware, bandwidth, to name a few all come into play and can seriously damage your own websites performance or even cause it to be offline completely. We have our own website hosting servers at the Web-Lab.Co which are available to the general public. They are based in Leicestershire and each has no more than 20 websites existing simultaneously per server. As a result their performance is high. We rate each website before allowing it to be hosted and we monitor each of the websites usage to ensure no other websites are affected. We have full disaster recovery and fail-over in place and we run daily backups. Your website is safe with us.